This Ratty stool is best situated within a high class venue where there is not the same commercial rush of traffic you find in a standard commercial bar. This product is very comfortable and super soft with great back support. 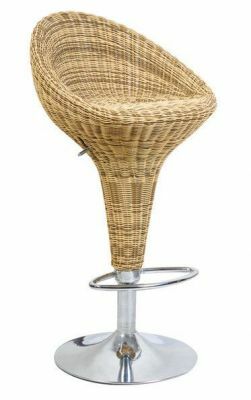 High quality rattan effect bar stool with a heavy duty chrome base. Designed for use in a high clas establishment. Available frrom stock for a quick delivery.